Deluxe vinyl edition, includes 3 bonus songs. Every so often an artist comes along who changes the musical landscape, an artist who brings something different to the game... Step forward Kendrick Lamar. Hailed as the new face of West Coast Rap, the 24 yr-old Compton-native has already been making his mark on the music scene, first with his sought-after mixtapes - ‘Training Day’ and ‘C4’. 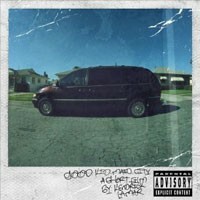 Then with his self-titled debut EP, 2009’s ‘Kendrick Lamar’ which featured his trademark singles ‘P&P’ and ‘She Needs Me’, followed up by 2010’s ‘(O)verly (D)edicated’ powered by the singles ‘Michael Jordan’ and ‘Cut You Off’. In 2011 he independently released ‘Section. 80’ becoming one of the top digital hip hop albums of the year. 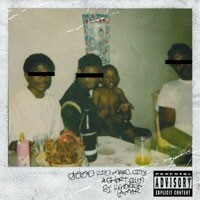 Fast-forward to 2012 and with the weight and backing of Dr. Dre (the two recently had a joint XXL cover), Kendrick is ready to release his highly-anticipated major label album ‘Good Kid, m.A.A.d City’. Hot single ‘Swimming Pools (Drank)’ serves as a good taster to the album, alongside the previously released warm-up single ‘The Recipe’ ft. Dr. Dre and the recently announced collaborative single with Lady Gaga called 'Partynauseous'. As well as scene stealing features alongside The Game, Drake, Rick Ross and others - Kendrick is poised to be the first artist in a long time to not only change how the country views West Coast hip hop, but how the world sees Hip Hop as a whole.